To be a human rights activist in the West Bank does not mean only taking part to demonstrations against the occupation. To be a human rights activist in the West Bank means devoting the everyday life, strength and patience to this cause. This is what Badia Dwaik does. One of the most known and sounding actions he took part was in 2011 with the Palestinian Freedom Riders (Inspired by the US Civil Right Movement who challenged segregation in the 1960s) where Badia and other 5 Palestinian activists decided to ride a settler’s bus from Psagot settlement (Ramallah area) to Jerusalem: during the action, 3 bus drivers refuses to let them get in the bus while a 4th bus driver started to ask for some kind of permission when he realized they were not Israeli or settlers. Badia and the other activists did not get to reach Jerusalem because were taken by force outside the bus by the Israeli police, but they manage to pass a powerful message to the international community. Badia was also one of the organizers, in January 2013, of the erection of Bab al-Shams village (literally “Gate of the Sun”). When, in November 2012, the United Nation General Assembly resolution 67/19 officially allowed the State of Palestine to enter the UN as an observer state, the Israeli government reacted with the decision to expand settlement plans into a territory close to Jerusalem, known as E1. Therefore, Badia together with other 17 activist across the West Bank, they took a closely guarded decision to put up a Palestinian camp close to Jerusalem, in a private land belonging to a Palestinian family. The activists left from a hotel in Ramallah by bus in the early morning, and as soon as they get there they started to build tends: the day after the new village of Bab al-Shams was born, catching Israel security services totally unawares. Up to 400 activists partook this action, including internationals; the 25 tends last for 3 days during which Israel cut water and food supplies to the people; at the end of the 3rd day Netanyahu gave the order to 1500 policeman to invade the camp and arrest all the activists for being troublemakers. Many people were injured during the operation and some of them were transferred to the hospital because of serious hurts. Only the presence of the worldwide media, and the special days this protest occurred - elections would take place shortly - avoided activists being jailed. Another significant action performed to turn attention to the situation in the occupied territories took place in 2012, when Badia together with other 150 activists marched inside one of the mall in Sha’ar Binyamin settlement, Ramallah area, belonging to the “Rami Levy” chain of supermarket usually built close to the biggest settlements. The demonstration developed peacefully, the big bulk of activists was marching with Palestinian flag and singing the praises of BDS inside the mall, not a single item in the supermarket was touched or damaged; but when the march exit the mall towards the street which connects Ramallah to Jerusalem (usually driven by settlers only), the police started to spray water, tear gas against people and beat them violently. During the action Badia got seriously injured in the leg first and then in the head by sounds bomb thrown by the police. Badia is currently involved in several campaigns: one of the most important is “Open Shuhada Street Campaign” which since 2012 aims to organize an International day of solidarity with the Palestinians resident in Hebron every year on February 25th (anniversary of the massacre at the Ibrahimi Mosque in 1994, where a settler opened fire on Muslims while praying). Badia is responsible to organize and control all the international events organized in cities in Europe and United States: these events include exhibitions of families and places before and after Shuhada street closure, to show the deterioration of the area due to army occupation, talk to students to raise awareness. He also organizes performances where actors enact the real life of Palestinians forced to live under Israeli occupation, like checkpoints and controls, to prove life conditions of Palestinians nowadays. To follow the campaign, head here. A second important campaign organized by Badia asks the release of Shireen Issawi, a Palestinian lawyer brought to jail at the beginning of March 2014 without any charge over her head. 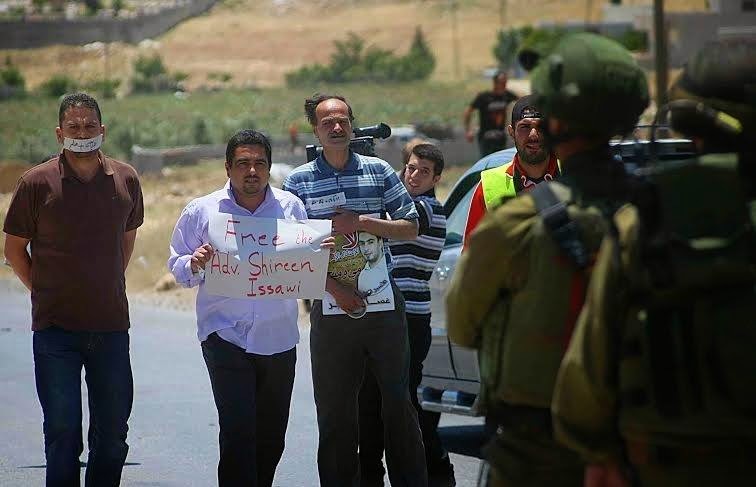 Shireen was very active in the past against the detention of administrative prisoners in Palestine, supporting her brother Samer who was on hunger strike for 270 days to protest against the Israeli government which gives order to arrest and detain activist without any sentence or proof. At the moment, hundreds of political prisoners in Israeli jail are on hunger strike, and Shireen is among them. 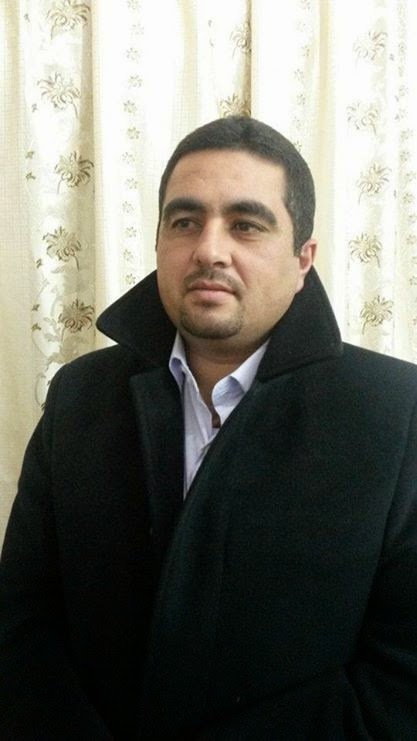 Badia is a founder member and Deputy Coordinator of Youth Against Settlements, a group which involves young Palestinians in nonviolent resistance against the settlements. However, he has recently left the group. While nonviolence was previously associated more with International activists, Youth Against Settlements has succeeded in recruiting Palestinians to nonviolent resistance, including members of the main parties. One of its current projects is recording complaints from families who have been harassed or attacked by settlers or the army. Here’s the link to the website of the group. 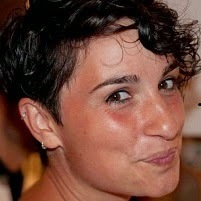 Raffaela Benedetti holds a degree in Biotechnology from University of Bologna (Italy), and is actually based in France where she works and lives. Writing has always been one of her hobbies and passions since she was a kid, and in the last few years she has tried to combine this passion with the strong interest for Human Rights, especially for the Palestinian situation. That’s why she became an activist in a collective for human rights in France. Raffaela is a dreamer, and the main love of her life is people and their stories. She thinks life has a story to tell, and tries to surround herself with people thinking the same way.